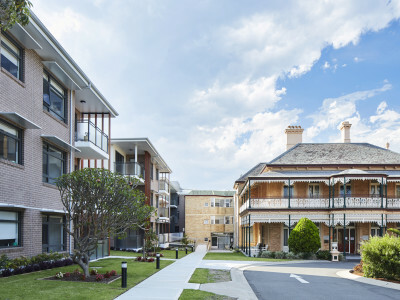 Campbell Place highlights the success of co-locating aged care with retirement living. 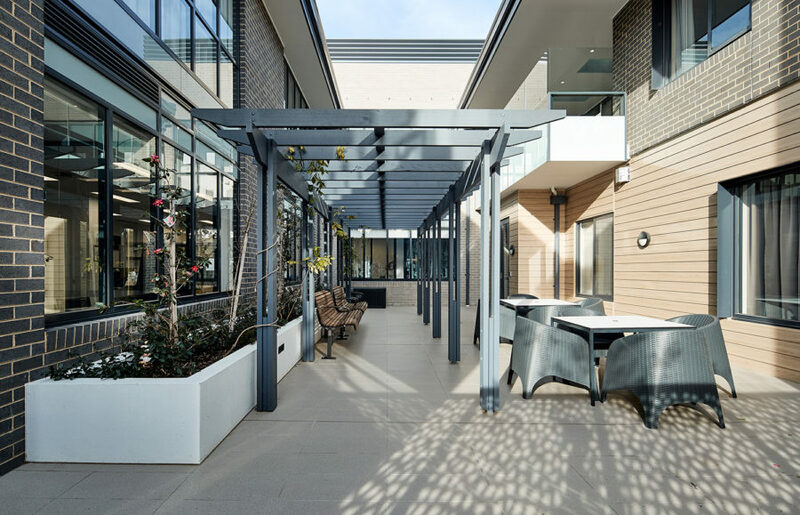 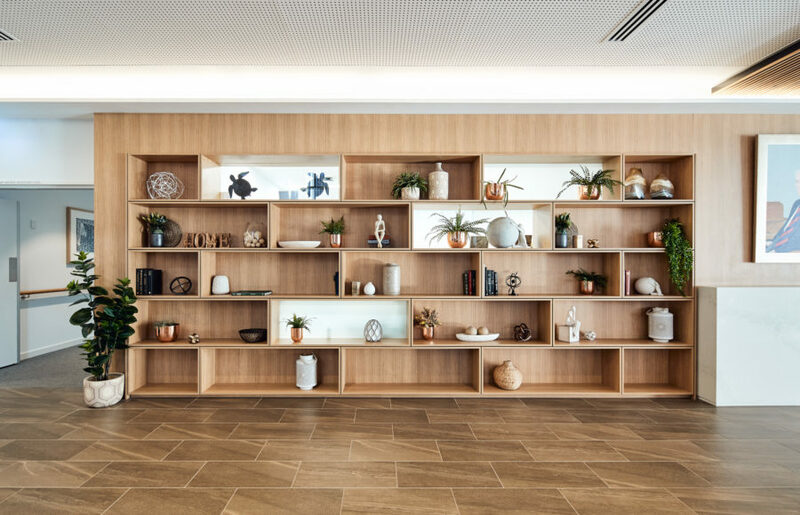 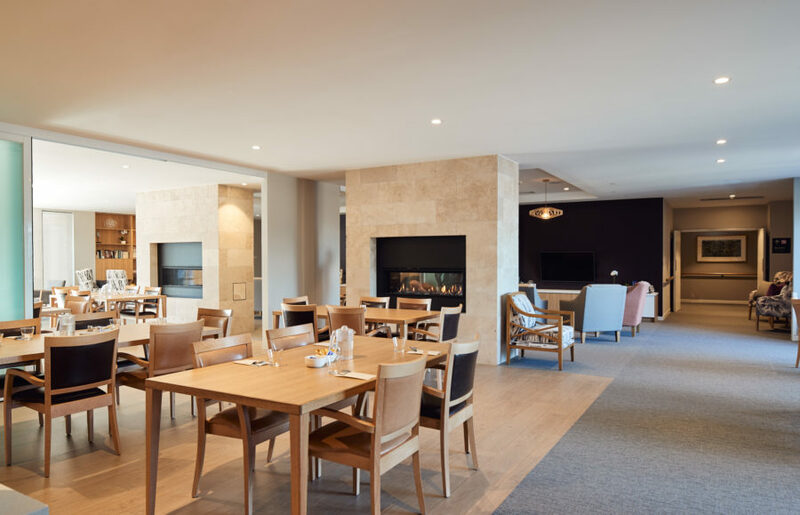 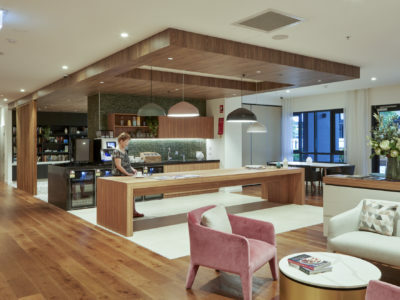 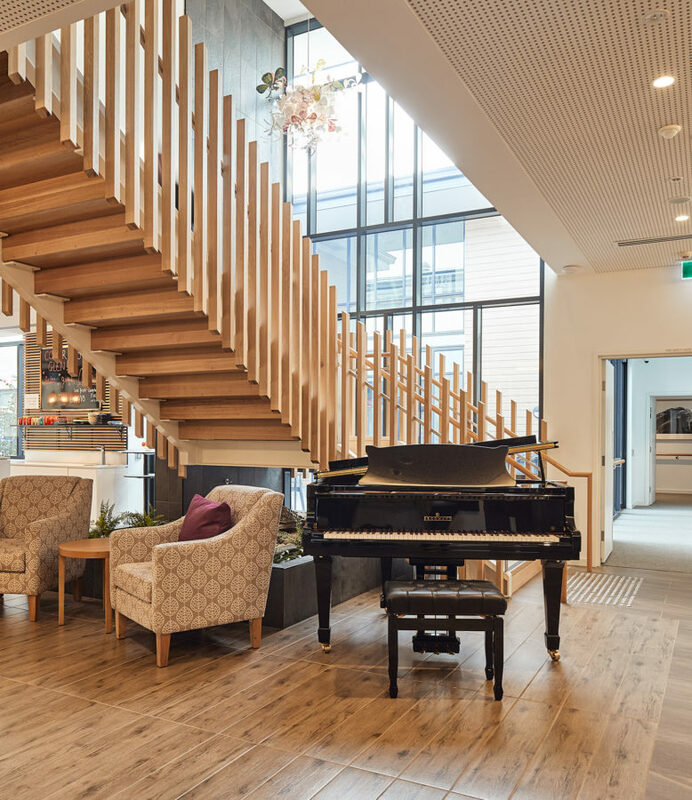 The two facilities sit side-by-side, and convenient back-of-house connections allow for ageing in place and the delivery of additional services to the retirement living apartments. 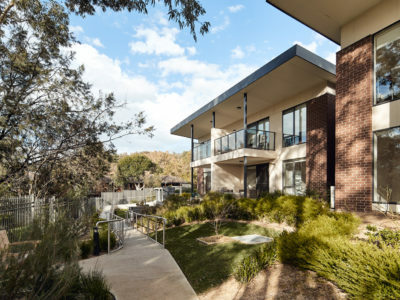 Campbell Place Aged Care has 102 beds and is designed to deliver a flexible house model of care with a strong emphasis on individual choice and home-like living. 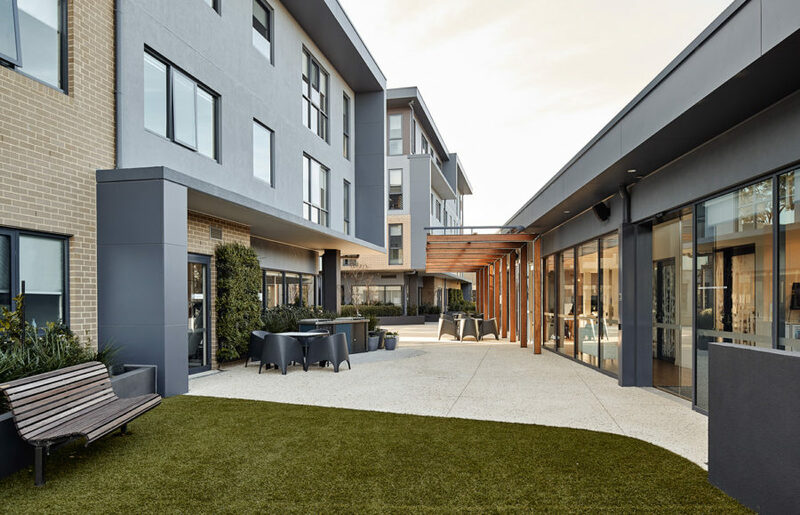 Campbell Place Retirement Community has 54 apartments located in three separate towers, each three-to-four storeys high. 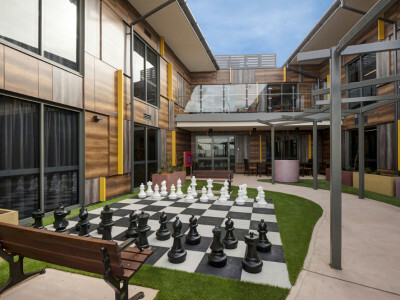 It offers low maintenance secure living and a range of community amenities for the residents to enjoy. 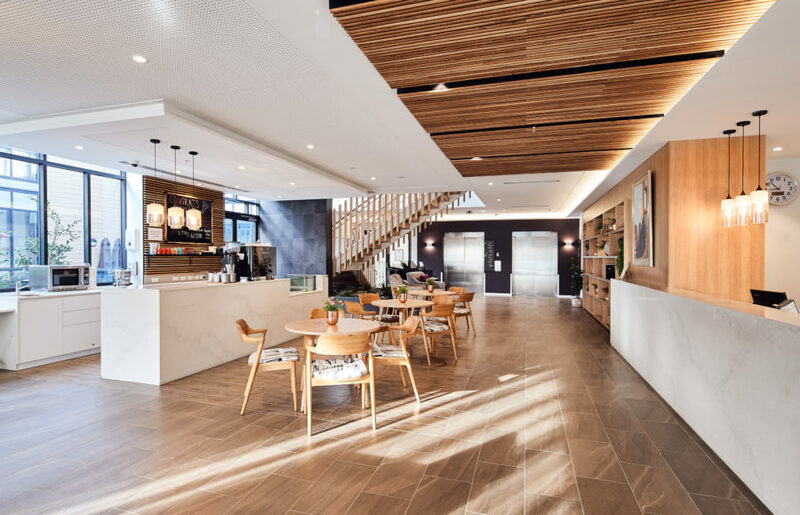 The project has been a success for the client, Australian Unity, which has been delighted with the fast occupation of apartments.